We’ve rounded up the most coveted gifts for girls this Christmas – and there’s plenty here which is unique and fun. As a mum of boys I have to say I was really excited about writing this post – because I have many little girls to buy for this Christmas and not much of a clue what to get them! There are some great ideas here, which I never would have thought of. I love the idea of a personalised book – it shows that a great amount of thought has gone into the gift, and of course, that’s what counts! Tinyme have a brilliant book perfect for girls, titled The Extremely Excellent Party. It’s personalised with the child’s name throughout the book, and is also great for helping with literacy and numeracy. It’s available from Tinyme for $24.95. 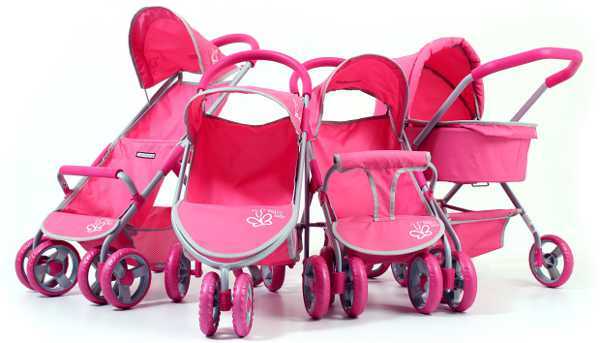 Prams and little girls go hand in hand, and these are pretty, simple and functional – just like all good prams! From Valco Baby comes the Layla, Lexi, Laci and Page – pink beauties that will make any little girl very happy on Christmas morning. They range in price from $49.50 – $84.95 each, and you can source a stockist near you through Valco Baby. The classic beauty of a Silver Cross pram in toy form – just beautiful. 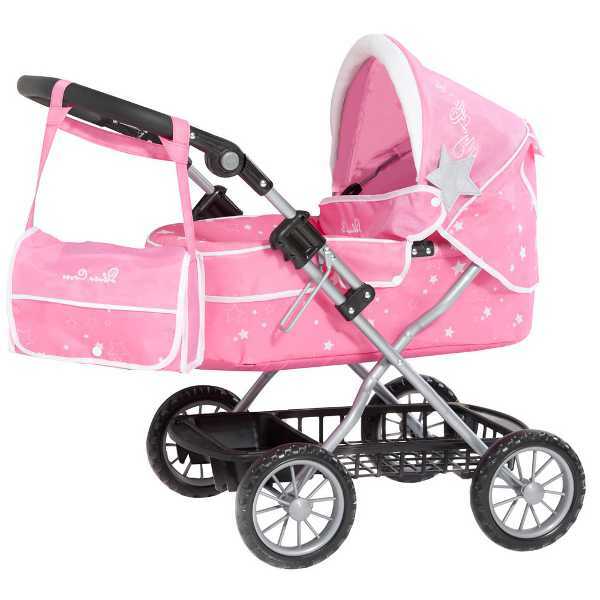 This pretty in pink pram has a fully adjustable handle and comes with a co-ordinating shoulder bag and shopping tray. It also folds flat for easy storage – or to pop in the back of the car just like mum’s! The Ranger Doll’s Pram is available directly from Silver Cross for $99. 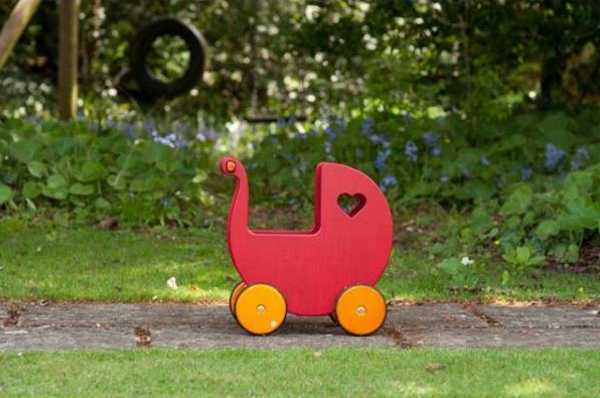 With its minimalist Danish design and timeless look this gorgeous Moover Dolls Pram is likely to become a family heirloom. 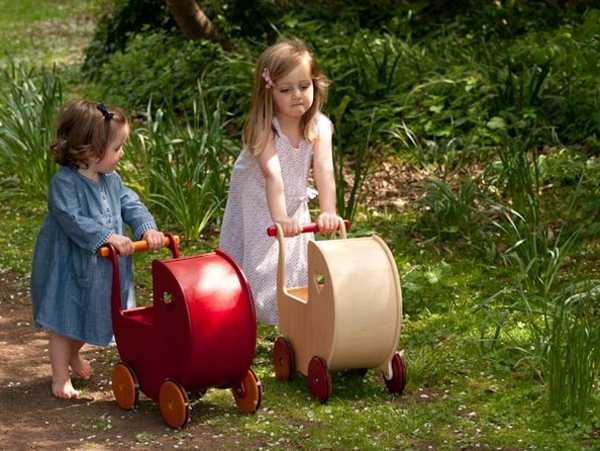 Made from high-quality birch veneer with large rubber-edged wooden wheels, it will become an instant favourite. It’s available in red or blonde timber, and costs $145 from Cocoon Petite Living. You’ve got the pram, now how about a doll to go with it. This gorgeous doll would be high on many little girls’ Christmas lists. 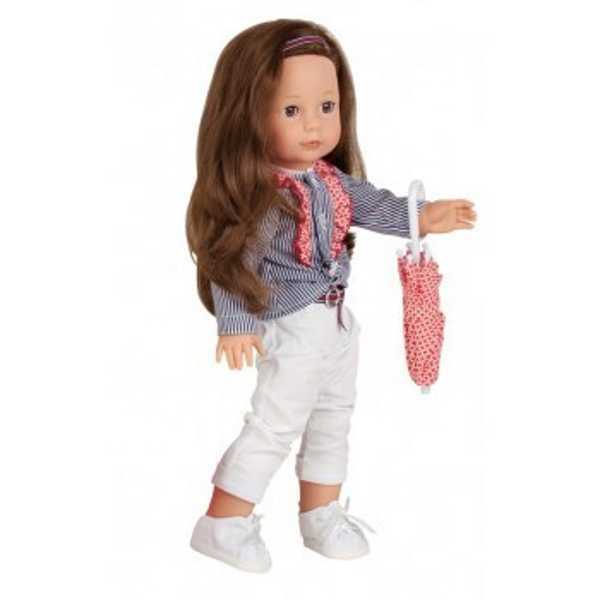 The Gotz Precious Day Girl Elizabeth doll is decked out for a day trip – complete with umbrella, hair tied back and white sneakers. The doll is fully articulated and can be posed, and her hair can be washed and styled. She stands at forty six centimetres tall and costs $139.95 from Little Sprout. These sunglasses are too cool for school, and are a great little gift. The Frankie Ray Cleo sunglasses for girls come in a few really cute designs, and the lenses are made from impact resistant polycarbonate. They also offer one hundred per cent ultraviolet protection – so they’re as safe as they are stylish. You can grab a pair for $29.95 from Eyetribe. 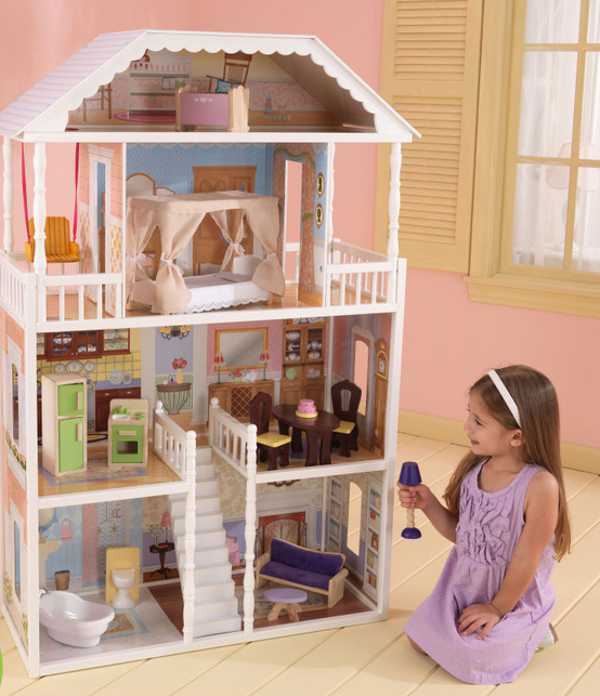 If you’re after a showstopping gift – this could be it – the KidKraft Savannah Dollhouse. Decorated like a southern mansion, it has four levels and six rooms of open space. It includes thirteen pieces of furniture, wide windows so that dolls can be viewed from different angles and an outdoor patio. It’s also great as a shared gift as two children can easily play with this at once. It’s available from Bubba Bling for $205. 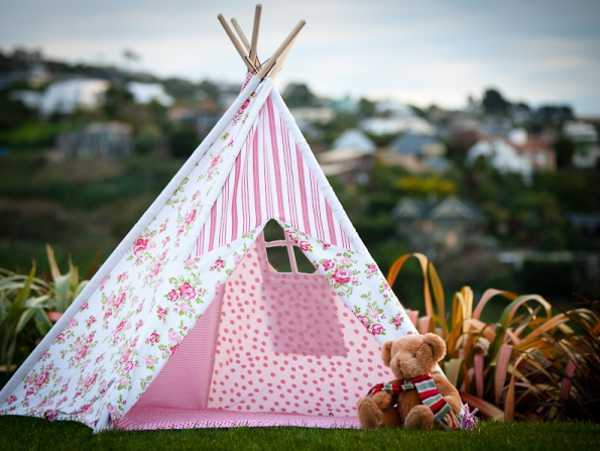 I have one of these amazing teepees and my children love it to bits! It gets such a great workout on rainy days – but has also had plenty of outdoor play. The Mocka Teepee is made from durable canvas and is a really big size. But even better it folds down easily and can be stored under a bed out of the way. Just imagine how beautiful this would look set up on Christmas morning! The teepees are $99.95 each from Lime Tree Kids. Girls starting preschool, kindergarten or school next year will adore unwrapping a gorgeous backpack on Christmas morning. And a backpack and lunchbox set is even better! Woddlers make some great designs, and this Pretty Bird set is adorable. The lunchbox is insulated to ensure everything is kept cool and fresh. 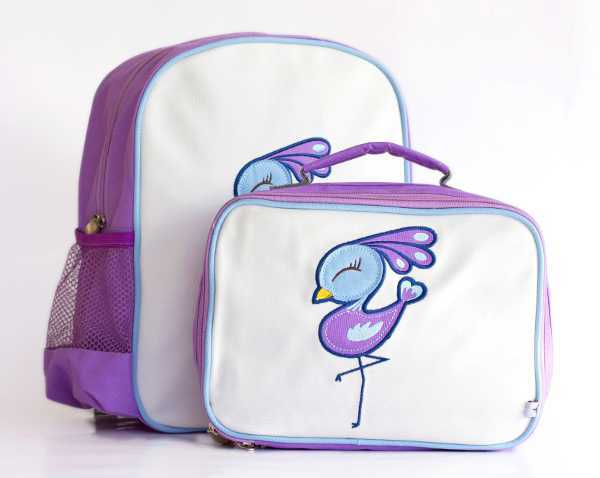 And the backpacks stand out from the crowd, so your little one will always be able to spot their bag. The backpack and lunchbox set costs $61.90 and is available from Woddlers. Older girls would certainly appreciate a beautiful piece of jewellery, like this Mini Margherita Bracelet in gold. 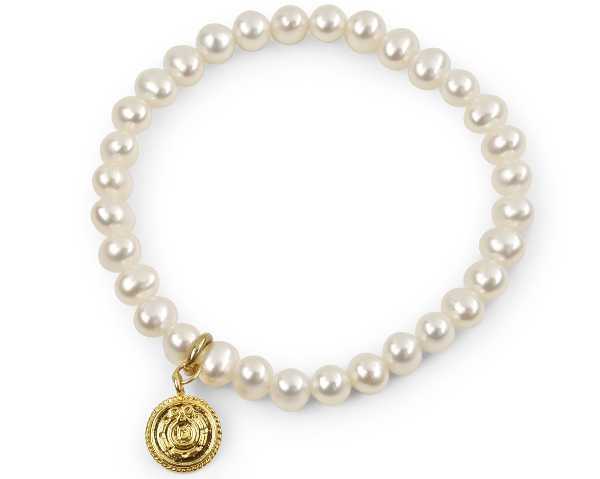 This freshwater pearl bracelet has an elasticised cord and a 16k gold plated Emporium D logo charm. This stunning bracelet is available from Emporium D for $50. 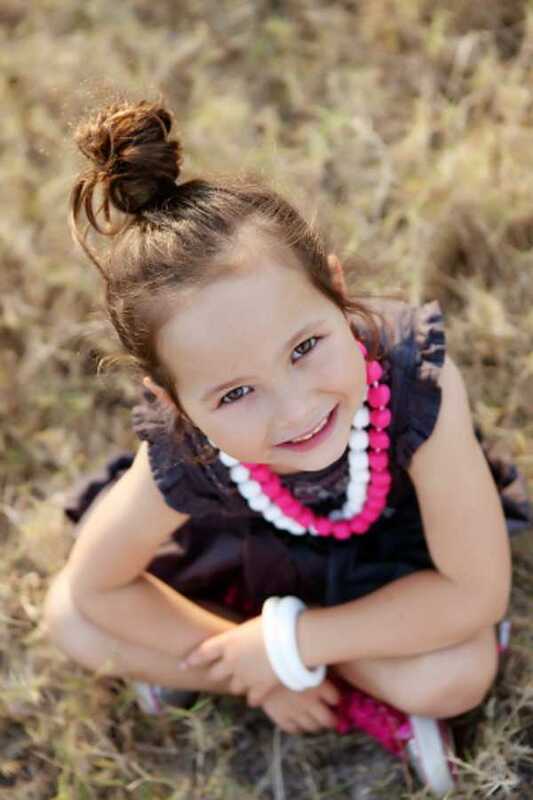 You might be familiar with Jellystone Designs jewellery for mums, but how about this adorable girls’ version? The Jellystone Designs Princess and the Pea Necklace is a twist on traditional round beads, and features a unique, organic shaped square bead. It’s available in five colours for $20, from Jellystone Designs. A play kitchen is a winner in any family with children – imagine unveiling this beauty on Christmas morning! The Le Toy Van Honeybake Oven and Hob set has a really cool retro vibe, and includes an oven mitt, saucepan, two utensils and a frying pan with toy egg, bacon and tomato. You can purchase one at Happy Little Hippos for $148.95. 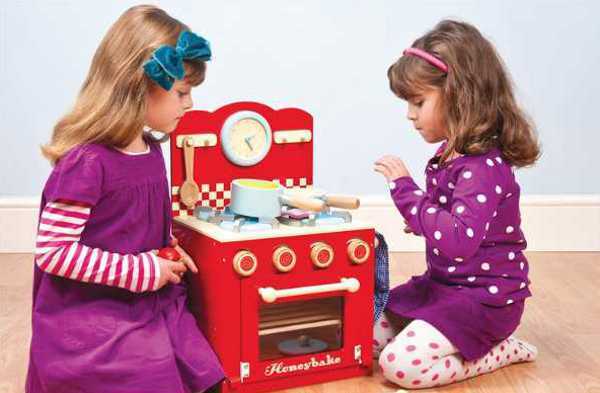 While we’re cooking up a storm, how about this stunning Le Toy Van Honeybake Mixer Set. 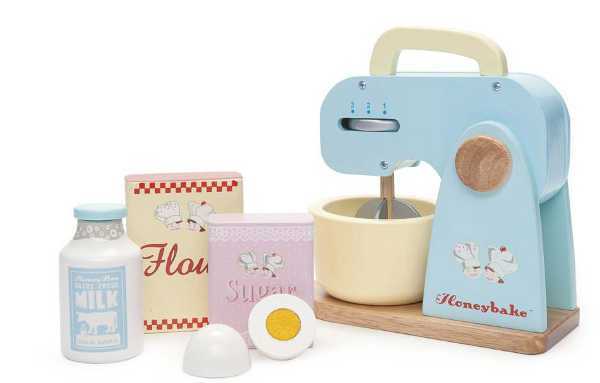 The set includes a mixer and a spoon, and has a turning handle, an toy egg that can be cracked, a wooden bottle of milk and pretend flour and sugar. It’s pretend play at its pretty best. It costs $54.95 from Oliver’s Twisty Tales. We’ll have more of our famous Christmas gift guide goodness tomorrow!